Open your heart and your palate! There's a degustation menu of new restaurants a mile long in Queensland that will put the battle back into the buldge. Queensland's oldest family-owned and operated winery on the Granite Belt, Ballandean Estate, has launched a weekly event to celebrate family, food and wine with personal interactions with the Puglisi family. 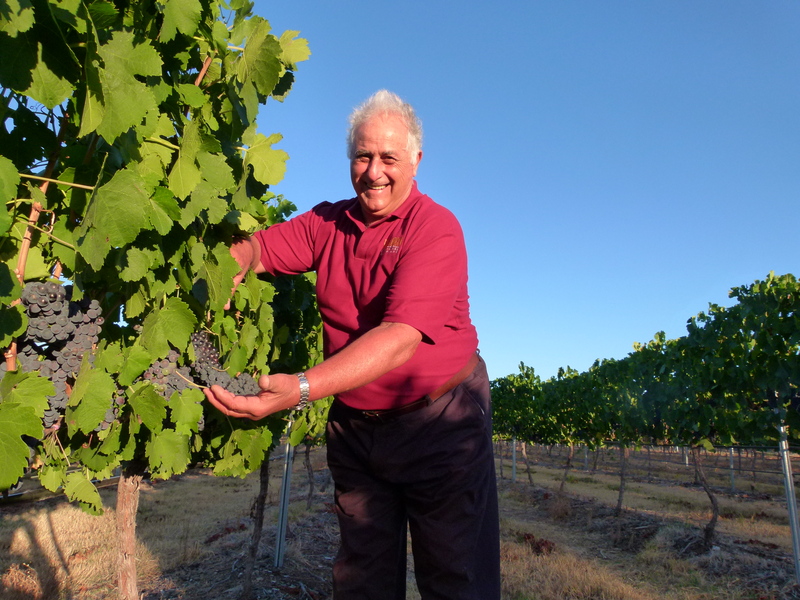 Ballandean will host the vineyard tour and viticultural master class every Monday, capping off the viewing with a luscious two-course lunch paired with five of the vineyard's Strangebird wines. At Our Table costs $90, or $80 for a designated driver (half-pours). Bundaberg has added a new drop to its famous fluid with the launch of Queensland's first ever dedicated Cider House (plus winery). 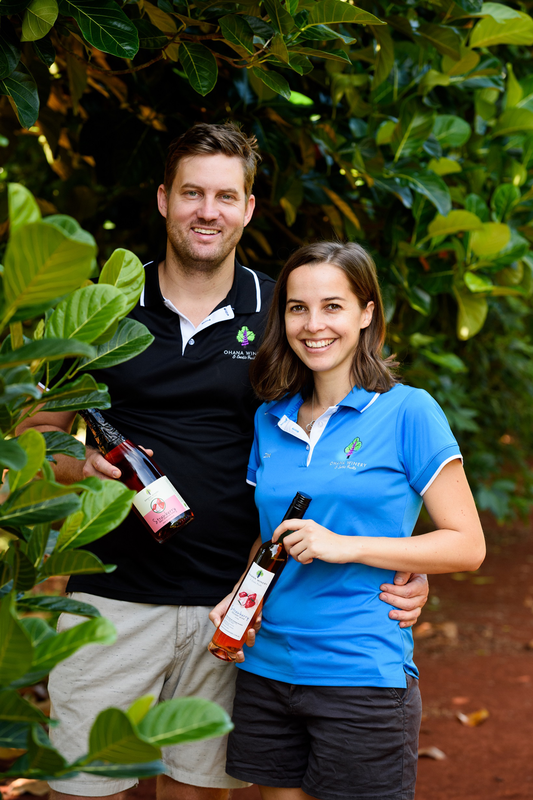 Josh Phillips and Zoe Young, the power couple behind the Cider House (and who first opened Ohana Winery & Exotic Fruit Farm in 2014 in neighbouring Childers) serve up a boutique range of tropical fruit wines, unusual liqueurs and out-of-the-box ciders like the chilli and lime cider or coffee cider. 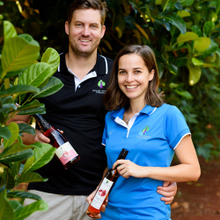 Punters can drop by the cellar door and enjoy a tipple or join the Bundy Drinks Tour and visit all four of the city's liquid assets including Bundaberg Rum, the award-winning Kalki Moon Distillery & Brewery and a local micro-brewery Bargara Brewing Company. 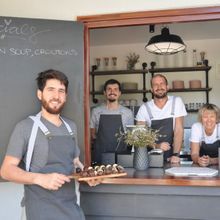 Award-winning chef Alejandro Cancino will expand Sunshine Coast taste buds with the opening of his vegan café, Lola's Pantry in late September. On the menu is gnocchi with mushrooms and broad beans, scrambled tofu on toast and a selection of salads and savoury tarts. “We don't advertise this as plant-based or vegan, there is nothing on the sign, we just want it to be good food that happens to be vegan,” Alejandro explained. The former executive chef of Brisbane's only three-hatted restaurant, Urbane, Alejandro relocated to the Sunshine Coast earlier this year with his wife Paola and their 13-month-old daughter, Lola, who the café is named after. The café is open for breakfast and lunch 8:30am-3:30pm, Tuesday-Saturday and Saturday nights from 5:30pm. Toowoomba artisan chocolate factory, Metiisto Artisan Chocolate, is finding sweet success having won three gold medals in the bean to bar category at the Royal Agricultural Society of Victoria 2018 in July, just months after opening its doors in Toowoomba. 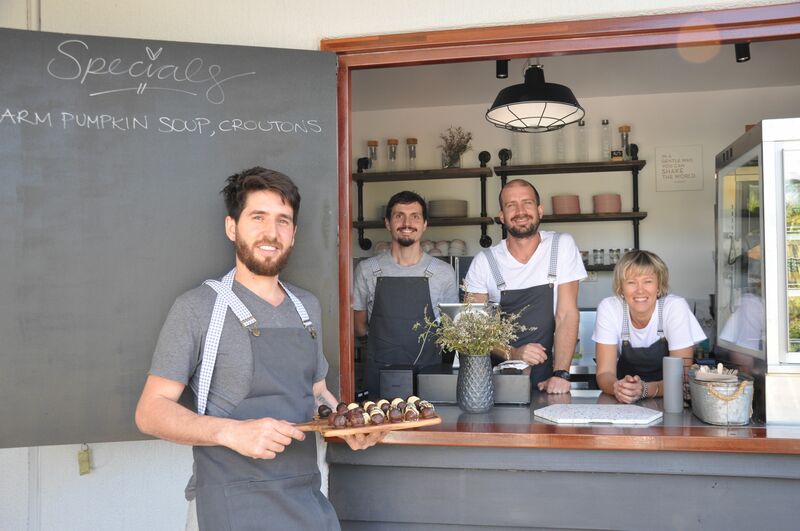 Chocolatiers Magdalena, a native Swede, and Trevor Smith moved their successful chocolate factory from Sweden to Toowoomba in May 2018. Using cocoa beans sourced from the Solomon Island, Metiisto make bars and sell direct to public from their Harristown factory on Saturdays from 9am – noon. Bars are also available at select venues around Toowoomba including Cobb & Co Museum, Vacy Hall Boutique Hotel, Wendland Olives and Emeraude Bistro, Hampton. Fish and chips have gone upmarket with the launch of The Boathouse Fish Bar at The Port of Airlie – Whitsundays. 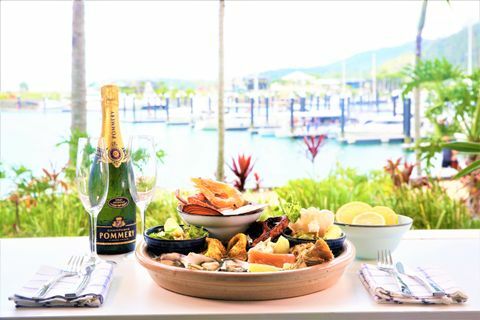 Inspired by the tutu blue waters that roll out before it, the new restaurant – which comes with comfy lounges and heavenly cocktails serves up Seafood Platters, Salmon Poke Bowls, Whitsunday Salt & Pepper Prawns, Seafood Pie or Barramundi Fish & chips, using only seafood fresh on daily basis. 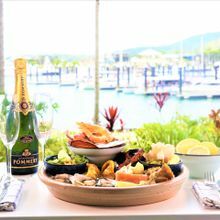 The battle of the Coral Sea continues when east meets west over a wide variety of dishes served up at the new Mira Ambrosia restaurant at the Mirage Whitsundays. 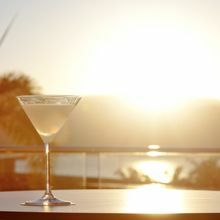 Nestled on the second floor of a three-story shrine to cuisine (the ground floor is the Mira Café by the lagoon pool, the top floor is a private dining room), Mira Ambrosia offers postcard perfect views over the Whitsunday Passage and The Coral Sea. Open for breakfast, lunch and dinner seven days a week, Mira Restaurant dishes range from Miso crusted cod to Shanghai Chicken. The bar is open! Habitat Noosa Everglades Ecocamp opened its doors (or, is that tent flaps) recently to CootharaBAR, a flagship bar and bistro set to perk up any camper's day. Overlooking a 500-metre private beach, CootharaBAR serves up coffee from local Noosa roaster First Batch Coffee Roaster Company and eases into locally crafted beers. Think well-balanced bitter ales with a touch of mango and passionfruit sweetness – a perfect post hike potion. A full bistro menu is available. Since taking over the site last year, The Discovery Group owners brothers Wade and Paul Batty have transformed the camp's original footprint into a world class eco-tourism destination with a range of accommodation from affordable powered and unpowered sites through to Wilderness glamping tents with shared facilities and luxury 'Paperbark' glamping tents with private ensuites. As expected from a just minutes from the Noosa UNESCO Biosphere Reserve, there's also a handful of nature-based tours on offer. A new brew beyond the black stump! No need to kill for a good cuppa in the Outback. 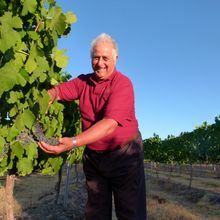 Gidgees Bush Camp in the tiny town of Morven, 90 kilometres east of Charleville and 665 km west of Brisbane, has blended the perfect potion by adding a drive-up coffee cart to its $5.00 a night camping ground. Called “Kill for a Good Cuppa”, bean surgery happens between 9.00am to noon Monday to Friday and adds city sophistication to a no-frills camping ground located on 180 acres of stud goat and sheep farm. In addition to coffee, artists at heart can sign up for the monthly on-site craft workshops like Unwind with Wire and Soap Making Classes or pop back to Charleville and visit the Cosmos Centre and the Bilby Centre. Gidgees Camping is open from April until September each year. Named after Australia's greatest aviator and local Bundaberg boy, Bert Hinkler, (incidentally the only person to honor the humble ibis a.k.a the 'bin chicken' for its graceful aerodynamic lines) Bert's is a swanky, moody new wine bar and restaurant that opened this month. The brainchild of Tracey and Michael McPhee, owners of Alowishus Delicious and recent winners of the Countrywide Café of the Year, Bert's celebrates achievements and milestones and serves up worldly cuisine that comes from places as far flung as the aviator himself: funghi arancini, pork belly bao, and Hervey Bay Scallops, to name a few.